“It’s an exciting time in the history of Bok Tower Gardens as we are about to undertake our vision for the future. We’re making big changes, without changing the spirit of the Gardens our guests have grown to love,” said Gardens’ president David Price. Following a careful selection process, Bok Tower Gardens chose the landscape architecture firm of Nelson Byrd Woltz, based in Charlottesville, Virginia, to create the designs for the new garden spaces. The firm’s owner and principal, Thomas Woltz, was named the Design Innovator of 2013 by Wall Street Journal Magazine and is known for his holistic design approach and working knowledge of Olmsted landscapes, like that of the Gardens. “Throughout most of 2013, our staff, Board, and Nelson Byrd Woltz have been hard at work preparing to initiate Phase I of our 25-year master plan,” Price said. 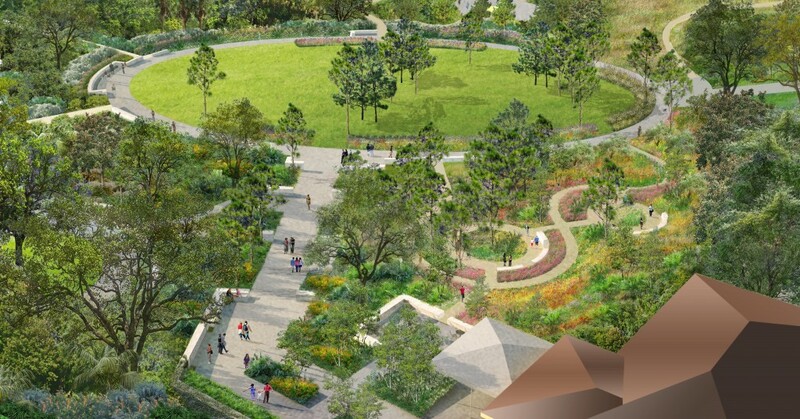 Phased construction at Bok Tower Gardens is slated to start this summer, with the groundbreaking for the new Children’s Garden planned for this fall. It’s estimated that the entire project will take 18 to 22 months to complete, and the Gardens will remain open for the duration of the expansion. “Fortunately, the areas designated for new gardens won’t disrupt current visitation, and we’re staging construction in a way that least impacts the visitor experience,” Woltz said. To date, the Gardens’ Preserve the Legacy, Steward the Future campaign has generated approximately $7.7 million of the $12 million needed to complete all the projects. According to Joan Thomas, director of development at the Gardens, there are a variety of creative naming and recognition opportunities in this campaign. “You can make a gift in honor or memory of someone close to the Gardens, associate your name with a major feature in our new garden areas, or consider an endowed fund opportunity,” Thomas said. A full list of campaign recognition opportunities may be found at www.BokLegacy.org. Campaign staff may be reached at (863) 734-1213 for more information.